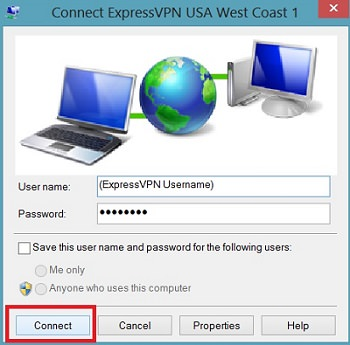 If you cannot use the ExpressVPN application on Windows Vista/7/8, you can manually set up an ExpressVPN connection on your computer using the L2TP protocol. 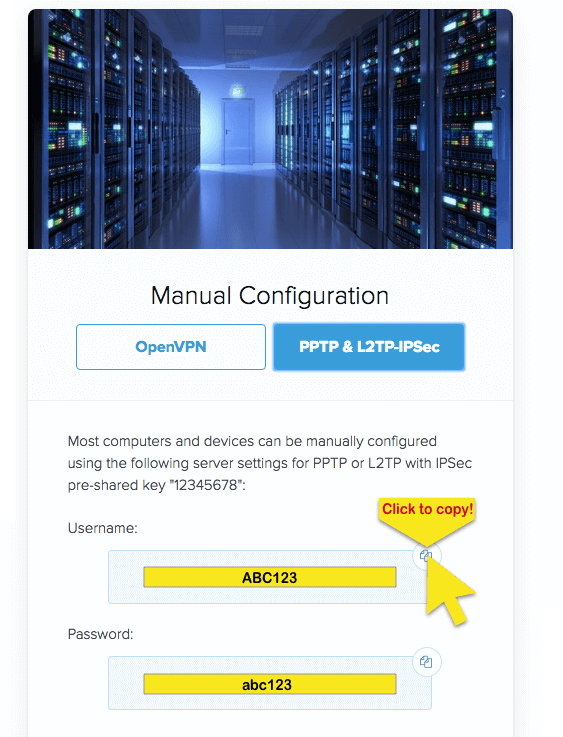 Note: L2TP-IPsec provides weak security benefits and should only be used for anonymization or for changing locations. For better security, use the app setup on Windows 7 and 8 and Windows Vista. Keep this screen open! 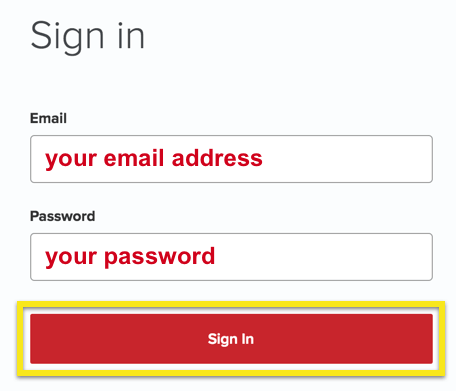 You will use the username and password for connecting to a server location later. To copy, click on the copy information icon on the top right corner of the box. 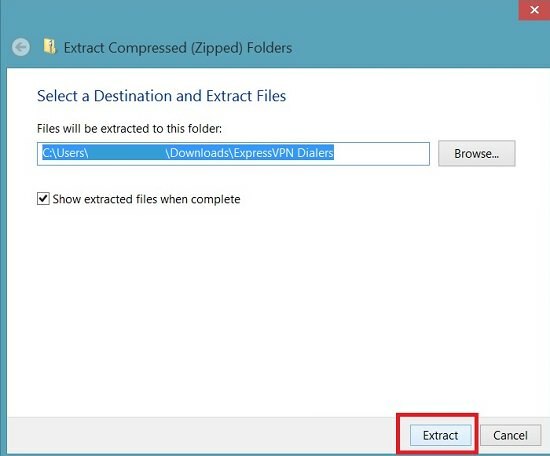 Right-click on the zip file which should be found in your downloads folder by default then click on Extract All. Click Extract on the subsequent pop-up window. This will not work if you are just viewing the contents of the ZIP file. The ZIP file needs to be extracted. 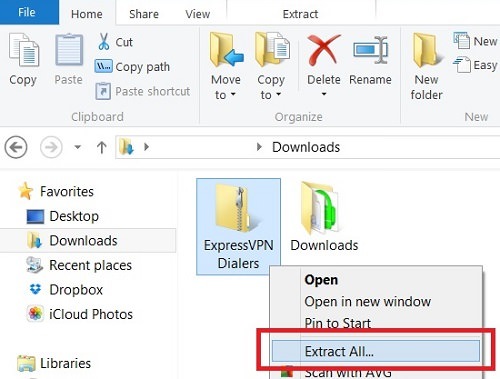 Double-click or right-click on the unzipped ExpressVPN Dialers folder and click Open. 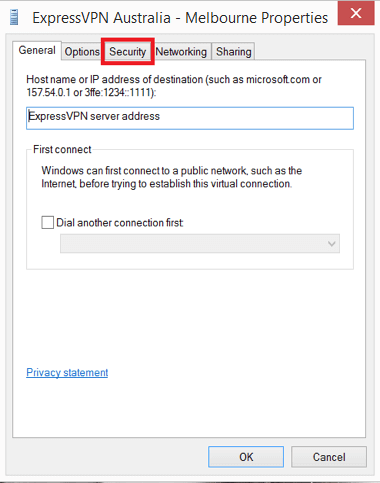 Double-click or right-click on ExpressVPN Windows L2TP and click Open. Click on the Security tab on top. 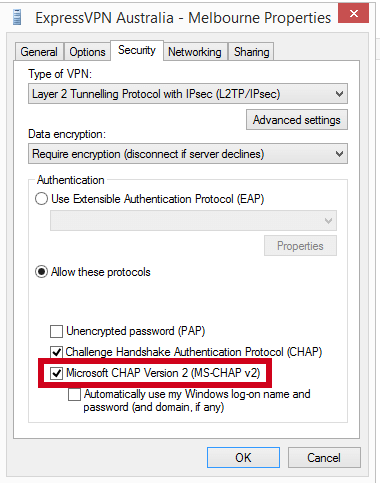 Make sure Microsoft CHAP Version 2 (MS-Chap v2) is checked. 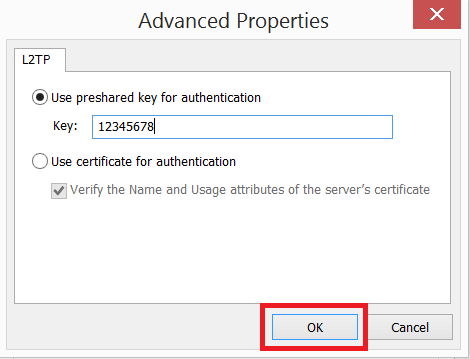 This ensures the connection will be encrypted. When this is done, Data encryption can be set to “Optional encryption”, “Require encryption”, or “Maximum strength encryption” and the connection will still be encrypted. 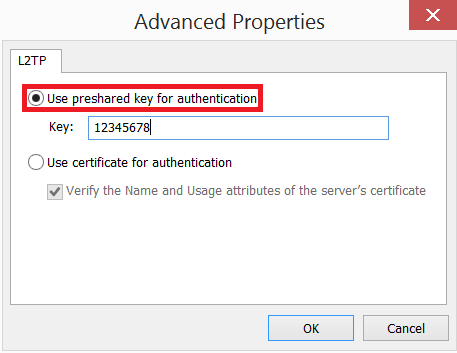 Click on Use preshared key for authentication and type in 12345678 into the Key box. Select a server location and click Connect. Input the username and password found earlier and click Connect. Congratulations! 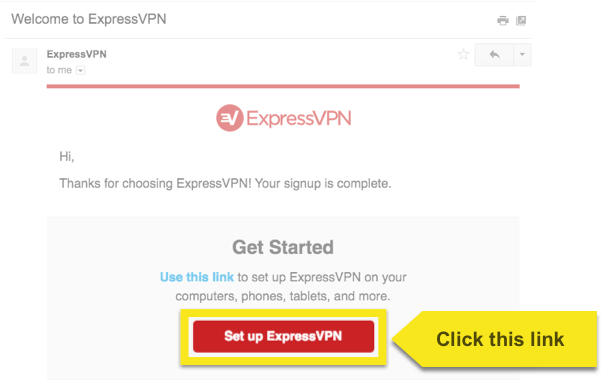 You can now begin surfing with freedom and security! To check if you are connected to our server, hover your mouse cursor over your active network connection indicator at the bottom right corner of your computer screen. 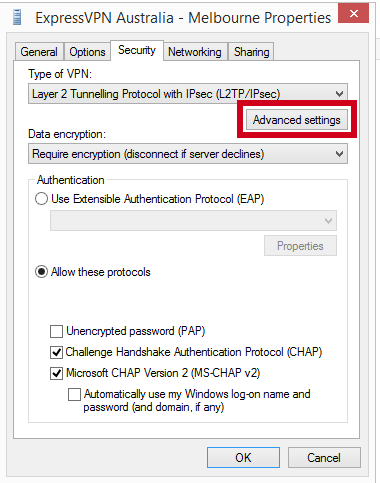 Note: These steps can also be used to connect using the PPTP protocol. 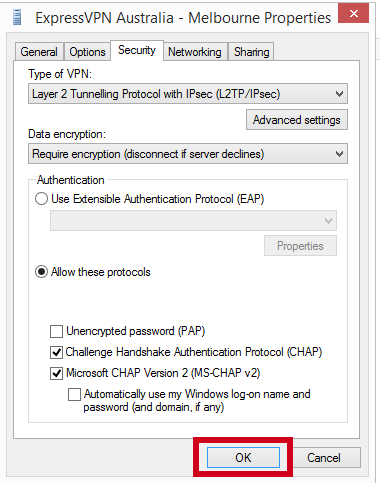 Note that both L2TP and PPTP offer limited security benefits and should be used for anonymization only.